While atmospheric elements such as decor, lighting, and background music are important, entertaining guests is a vital part of running a bar. Many people return to bars for weekly trivia, pool, or other activities they can enjoy while socializing with friends. As long as your marketing techniques are working to bring in new customers, entertainment can keep them coming back. Here are 14 games, activities, and events you can host at your bar. Live music is great way to bring new customers into your bar. Book a local or touring musician, and they invite their fans to your place for live entertainment alongside amazing food and drinks. Dice drinking games are a simple, cost effective way to entertain your guests. Games like ship, captain, crew, Klondike, Tally-Hold, and Farkel can keep guests entertained in a way that lets them socialize with friends and other customers. You can get some dice on Amazon here . Pool , air hockey , foosball , and shuffleboard are fantastic games for maintaining a regular customer base. These types of games are ones people don't often have room for in their house or apartment, so they have to go out to play them. You can even host tournaments for more serious players. Music related games are always fun. Name that tune is a game where you play a part of a song, and your customers have to write down the song and/or artist, with each being worth a point. The player who guessed the most correctly wins. It's important to make sure you have the appropriate music licenses in place for this. Similar to name that tune, trivia is a game of guessing. Pick a topic that's relevant for your audience, with fun questions and a high-energy host, and customers will be back for more. Get your staff involved, and let customers compete for discount drinks. Rock-Paper-Scissors, dice roll games, or a simple coin flip game can create deeper connections between your staff and customers. If your bar is heavily influenced by sporting, show your support for local teams. Let them host unique events in your bar. Depending on the style of your bar, a video game night may make sense to attract a younger crowd. Competitive games like Halo or Call of Duty can draw more social gamers. While many young adults today have video game systems at home, going out and playing with someone new is something worth considering. Similar to sit down video games mentioned above, more activity based video games like Guitar Hero or Just Dance can make for a fun activity. These games also require your customers to move, which can result in greater drink sales when they become thirsty. This one is free, and can help bring in more revenue for your bar. Come up with different records your customers can set, such as "Fastest Time to Drink 50 Beers" or "Most Burgers Eaten in 30 Minutes" and add their names to the wall of fame. Customers who are up for a challenge will spend more in your restaurant. Throwing darts is one of the most iconic bar games, and it's cheap to set up. As long as you have the space, setting this up can provide for a great experience for your guests - or a hilarious one for those who lack coordination. Lots of people want to be famous musicians, but many just want to perform for the fun of it. Karaoke nights can be a great way to involve your guests and give them an opportunity to shine. Games like Chess or Checkers can be painted on your table, and you can get pieces for a good price. Aside from 2-player board games, go for more social games like Monopoly or Clue The Classic Edition . Some games that are less competitive are simply more fun. Games like Telestrations or Catch Phrase can make for a hilarious night out. 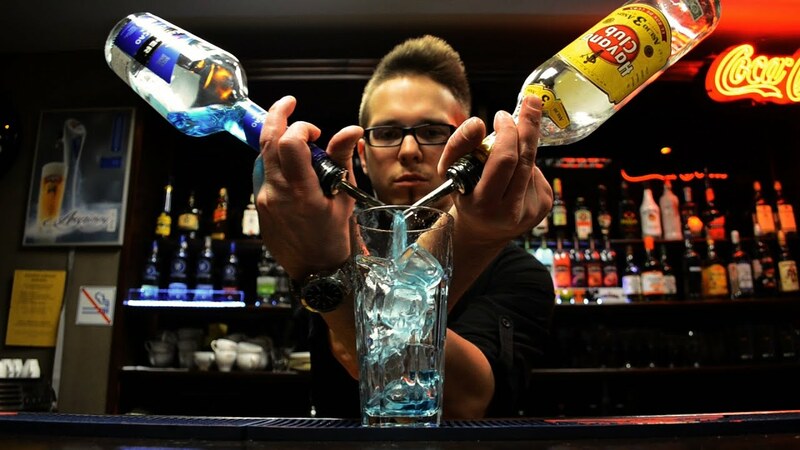 Hopefully, these ideas are helpful and inspiring for you to get something going in your bar.